Ein Dokument mal schnell mit einem externen Benutzer teilen? Nichts leichter als das, äh, das Dokument steckt in der Dokumenten-Bibliothek einer Gruppe oder Team-Site? Und dort ist es mir per Standard verboten, Dokumente mit anonymen Benutzern zu teilen. Selbst als Admin habe ich im SharePoint Admin Center keine Möglichkeit, das zu ändern. 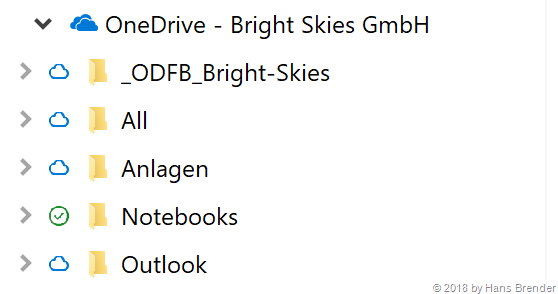 Aber es muss doch gehen, in OneDrive for Business geht es ja auch. Und hier bei Bright Skies ist es Schritt für Schritt beschrieben. 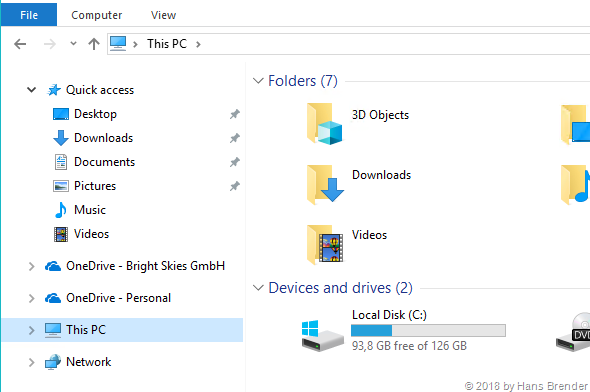 Windows 10 Users, which are running Insiders Version 1709 Build 17063 are now able to have additional OneDrive Icons in the Windows Explorer. 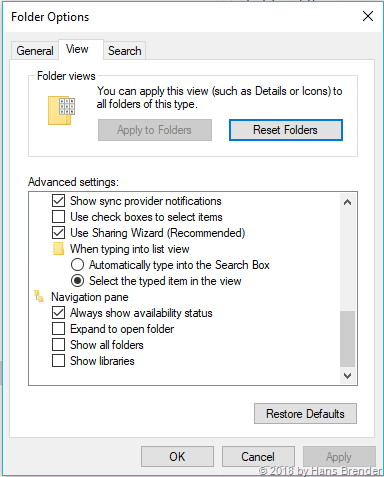 we switch now into the view, here to options, Change to Folder and Search Options, inside the Folder-options to View and here to scroll down to Navigation Pane…. and activate “Always show availability status” and the end up with OK. If you do not want to have these Icons, you may switch them off the same way. 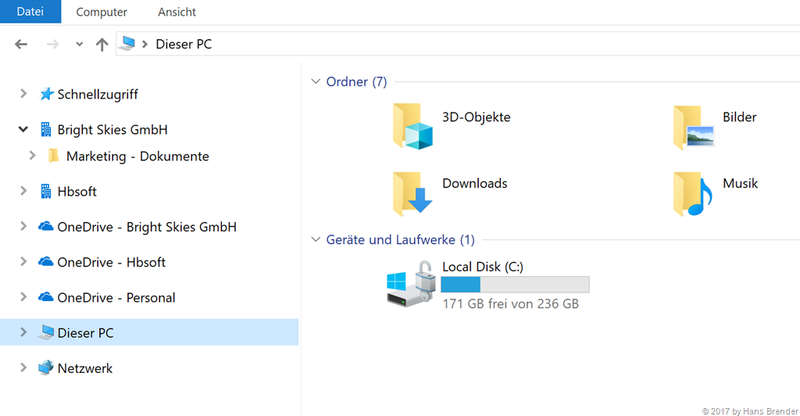 Windows 10 Benutzer, welche die Insiders Version 1709 Build 17063 installiert haben, können jetzt eine zusätzliche Ansicht im Windows Explorer einstellen. und aktiveren “Verfügbarkeitsstatus immer anzeigen” und schließen dann mit OK ab. Jetzt weiß ich auch, warum mir der Zwischenraum so groß vorkam. 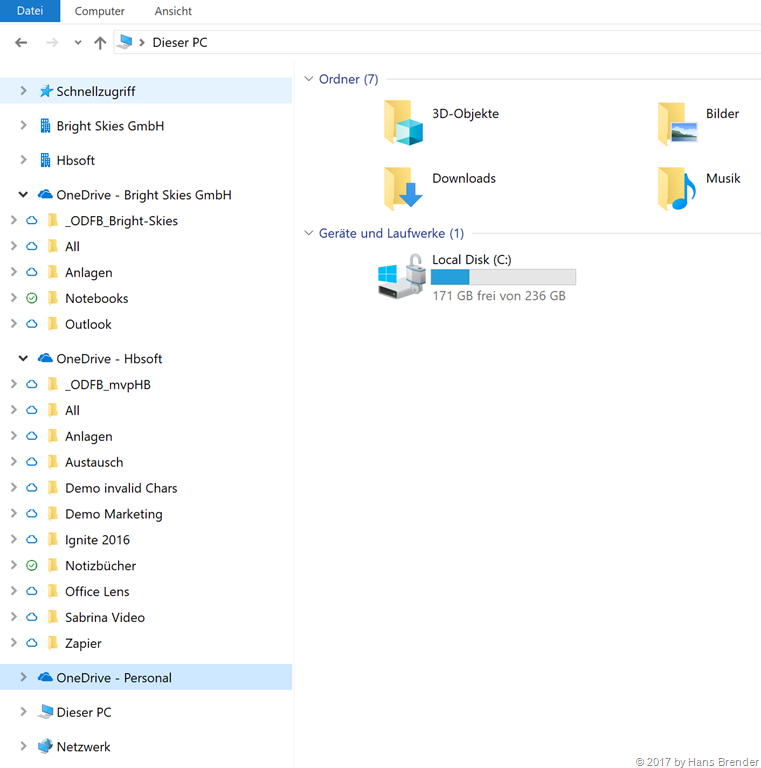 Die Ansicht gilt für den Next Generation Sync Client, also sowohl für OneDrive Personal, OneDrive for Business, Teamsites und Groups von Office 365. Wem diese Icons zu viel sind, kann Sie auf dem selben Weg auch wieder ausschalten. A few days ago, Microsoft announced a new feature for OneDrive for Business and SharePoint Online. The user may now sync data with “#” and “%” in the files- or folder name. Perfect for the users, but wait: The admin has to switch this feature on, and there is no switch in the admin console. Many user do not understand this. Yes, we know from past: here were many characters, that may not used in file and folder names. And Microsoft has promised, that the last 2 characters will be removed in the first quarter of 2017. And now it’s ready. All things, that followed, has nothing to do with all OnPremise versions of SharePoint and the old Groove client respectively. If you are a frequent reader of my blog posts, you know, that the Next Generation Sync Client (NGSC) will work only with Office 365 and OneDrive Personal. No, because there is no switch for the admin; the adminstrator has to deal with PowerShell. For all Office 365 tenants, that will be established after June 2017, this function is set automatically. Allowed Allows # and % characters in file and folder names in SharePoint Online and OneDrive for Business document libraries. Disallowed Disallows the # and % characters in file and folder names in SharePoint Online and OneDrive for Business document libraries. NoPreference # and % support will be enabled by Microsoft on your Office 365 Tenant when available. NoPreference state is the default state before we enable # and % on behalf of Office 365 Tenants following the schedule mentioned previously. 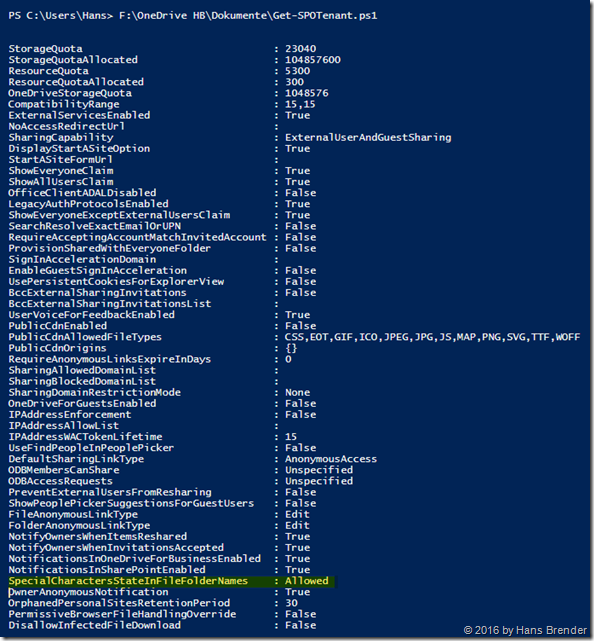 In this state, # and % are turned off and tenant admins can run Set command to switch it to either Allowed or Disallowed. Once it is set by tenant admins, Microsoft will not change the setting when we enable on # and % on behalf of Office 365 Tenants. In addition, this is a read-only state, so it can not be set by running the Set command. 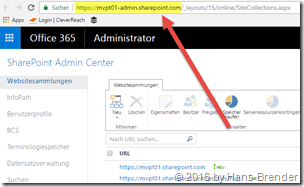 Before we use PowerShell to connect with SharePoint Online you must ensure, that the SharePoint Online Management Shell is installed. You may download it from this Microsoft site. Even you have it installed, look for the latest version. 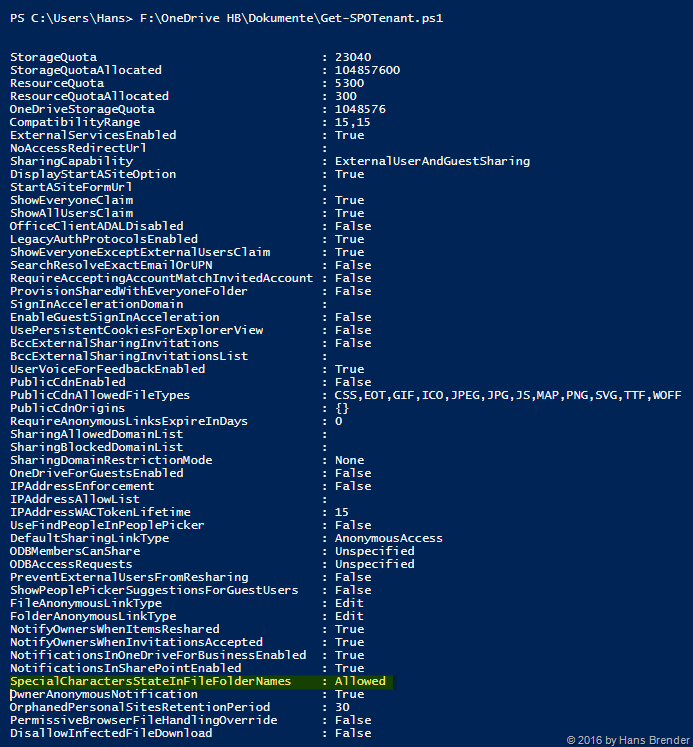 Start the Powershell online Management Shell, or you use Windows Powershell ISE. Even if you are not use PowerShell each day, I will describe the few steps. To Disconnect from you teanant you write Disconnect-SPOService ein. Important: If you have changed the value, it takes a while, until the changes are affected! Microsoft Support and Recovery Assistant for Office 365 with version 16.00.1702.0000 also do not know theses characters, but Microsoft has confirmed me, that this will be changed in the near future. some people ask me: Do I have to set the registry Key TeamSiteSyncPreview in each Client, to sync document libraries from team sites or groups from SharePoint Online to my local device? With the Next Generation Sync Client, not the old Groove client! My answer: Yes / No, it depends. If you want to sync data from other document libraries in Office 365 you need to set some switches in the admin portal of Office 365 and you need therefore admin credentials OR you install the registry Key TeamSiteSyncPreview on you local device. But in this case you need local admin rights. The difference is, that with the registry Key you open access to sync for other document libraries only for this device.. So you may read it from Microsoft. All other devices of your Office 365 tenant have no access. That’s ideal for testing with a test group of users. If you want to enable the sync process with the Next Generation Sync Client for all of your users you need the SharePoint admin of Office 365. And, you do not need to set this registry Key on local devices. 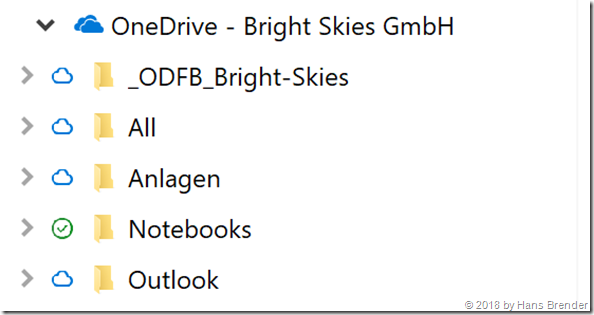 What and where do I have to change/set in the admin Center of Office 365? Open the SharePoint admin center. In the left pane, click settings. 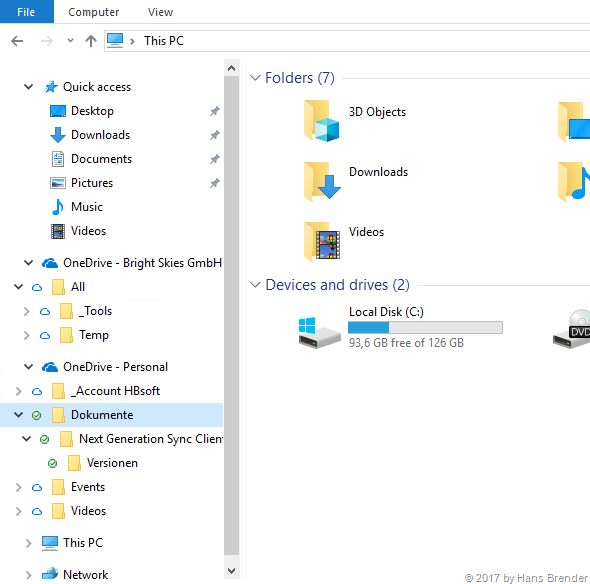 Make sure "OneDrive Sync Button" is set to "Start the new client." To sync SharePoint files with the new client, you must also sync OneDrive files with the new client. If you have made these changes and the users clicks on the sync button, the Next Generation Sync Client is launched. You also have the chance to install the newest version from the popup window. These changes take several hours to propagate. To check that they’ve propagated, go to a SharePoint Online site and click Sync. In the browser dialog box that confirms the request to open a program, the "Program" should appear as "Microsoft OneDrive" and the "Address" should start with "odopen://"
Many issues I have heard, come from this point. 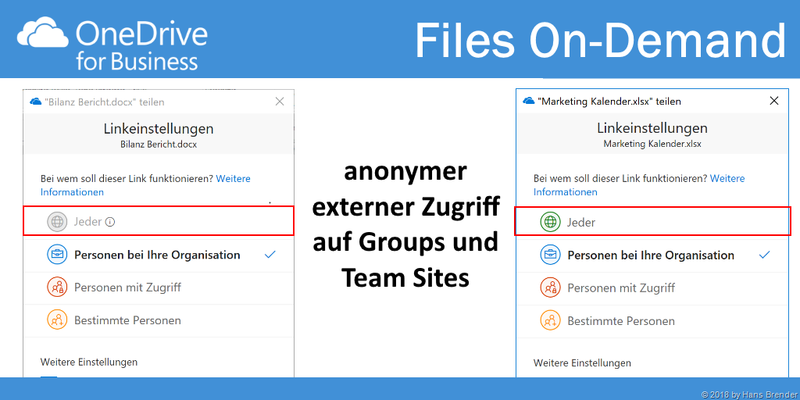 Ich wurde schon des Öfteren gefragt: Muss ich den Registrierungsschlüssel TeamSiteSyncPreview im Client setzen, um auf Dokumentenbibliotheken von SharePoint Teamsites oder Groups in Office 365 mit meinem lokalen Windows Client zu synchronisieren? Wohlgemerkt mit dem Next Generation Sync Client, nicht mit dem alten Groove Client. Die Antwort: Ja / Nein, das kommt darauf an. 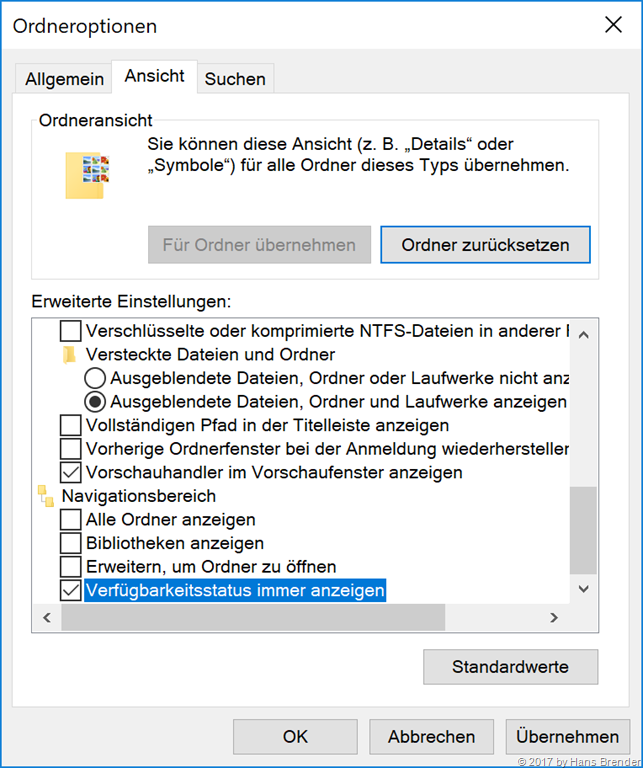 Will ich mit mit anderen Dokumenten-Bibliotheken in Office 365 eine Synchronisation herbeiführen, so benötige ich geänderte Einstellungen im Administrationsteil für Office 365 und damit den SharePoint Administrator oder ich installiere den Registrierungsschlüssel TeamSiteSyncPreview auf meinem Rechner. Dazu benötige ich natürlich lokale Admin-Rechte auf meinem Gerät. Der Unterschied ist der, dass ich mit dem Registrierungsschlüssel genau dieses und nur dieses Gerät freischalte für die Synchronisation anderer Dokumenten-Bibliotheken. Das ganze hat Microsoft hier beschrieben. Alle anderen Geräte die sich mit Office 365 verbinden und synchronisieren bekommen keinen Zugriff. Damit kann ich bestimmte, ausgewählte Benutzer zu Testzwecken für eine Synchronisation weiterer Dokumentenbibliotheken bestimmen. 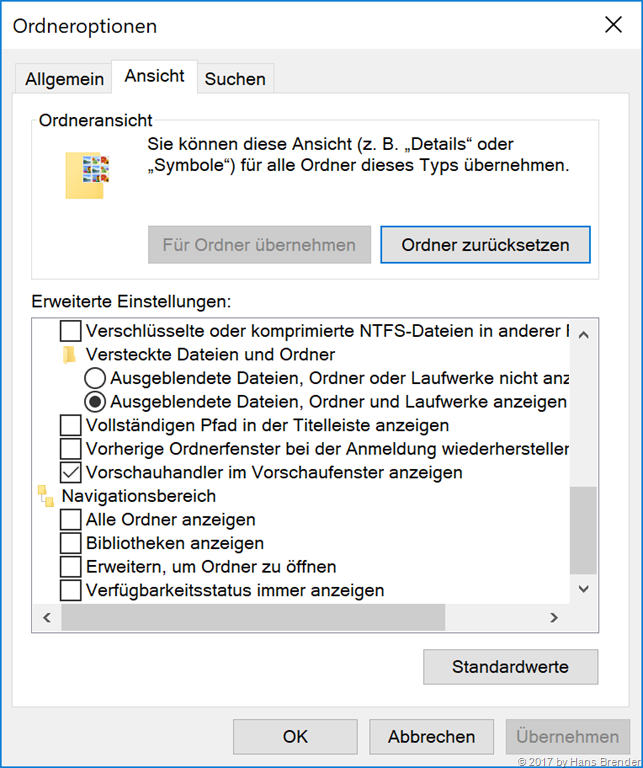 Soll für alle alle Benutzer der neue Next Generation Sync Client benutzt werden, so kann dies der SharePoint-Administrator für Office 365 durchführen. Am lokalen Client muss dann kein weiterer Registrierungsschlüsse mehr eingetragen werden. *) 23.03.17 Hier existiert noch ein Bug. Es muss zur klassischen Darstellung gewechselt werden. 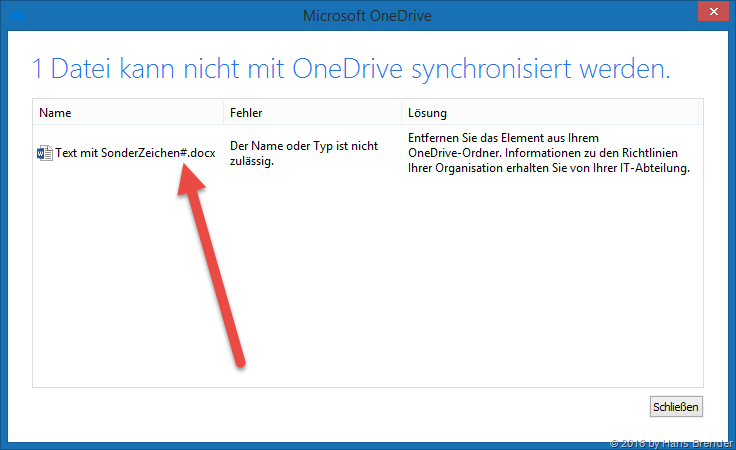 Was muss wo in der Admin Konsole von Office 365 eingestellt werden? Durch diese Selektion werden Benutzer, welche auf einen Synchronisations-Butten klicken, den neuen Client (New Generation Sync Client ) verwenden. Ist dieser auf dem Client nicht vorhanden, kann er von dem Popup Fenster aus installiert werden. 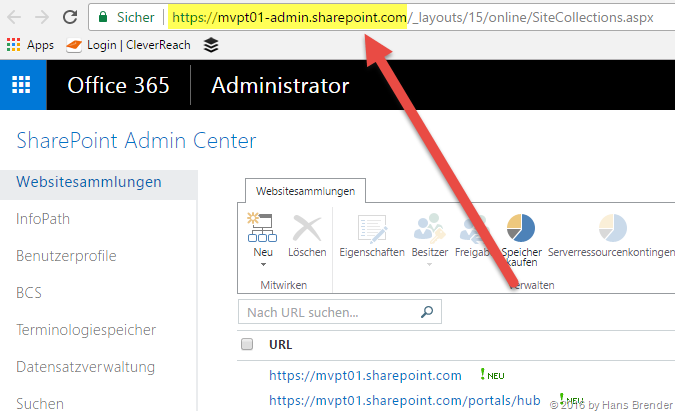 Diese Änderungen im SharePoint Admin Center können mehrere Stunden in Anspruch nehmen. Das ist abhängig davon, wie viele Benutzer in Ihrem Office 365 vorhanden sind und wie viele Objekte betroffen sind. Hier ist die häufigste Ursache zu finden. Hier hilft nur abwarten.